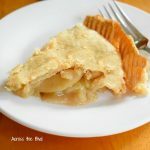 There are tons of recipes for apple pie and lots of them are delicious. 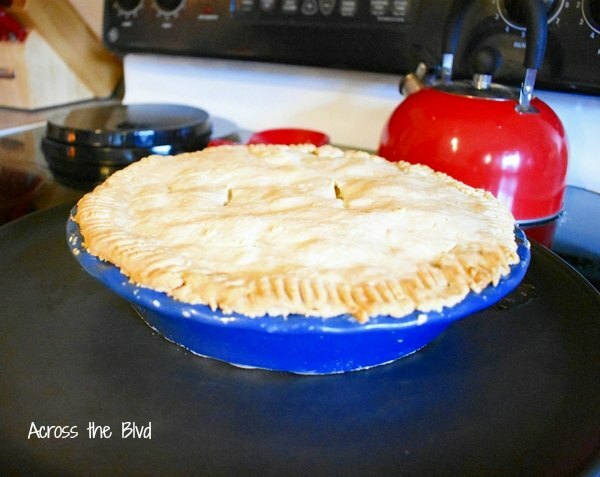 This Apple Pie with Flaky Crust is my brother’s recipe and I’m excited to share it today! The crust is simple to make and melts in your mouth! 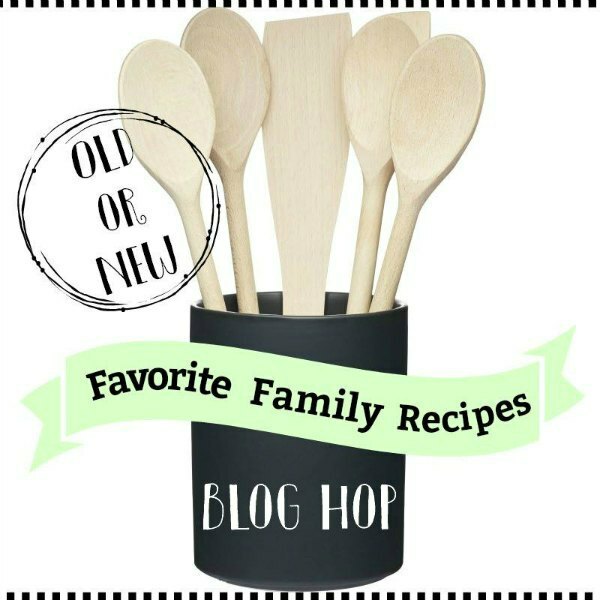 It’s time for our monthly blog hop challenge and this month it’s a favorite family recipe. The co-hosts are all sharing a recipe that they love. I can’t wait to see all of the sure to be delicious recipes! My brother moved to Charleston after he retired a few years ago. He doesn’t do a lot of cooking from scratch, but his apple pie is 100% from scratch and it’s a wonderful recipe. He’s made it for me before and for this month’s favorite family recipe, I thought it would be a great share for a fall dessert. The crust is flaky and moist. Making the crust is simple and it only takes three ingredients. Once the ingredients have been combined, roll the dough into a large ball, cover with plastic wrap, and place it in the freezer for 10 minutes. While the dough is chilling, prepare the apples. 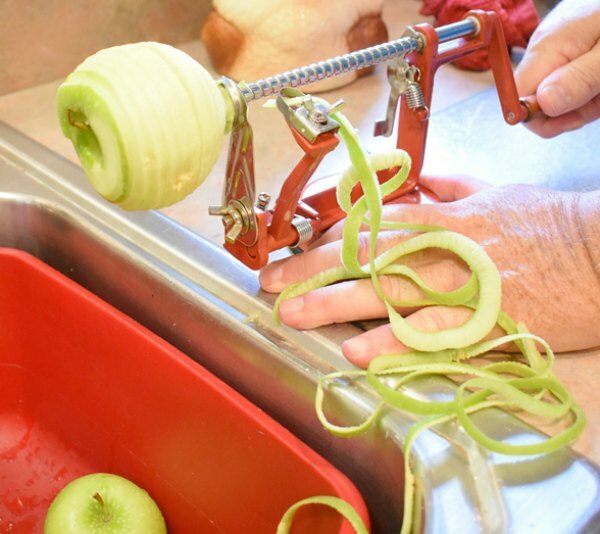 He has an apple corer that makes quick work out of coring and peeling the apples. Once the apples have been cored and peeled, slice them into small pieces. 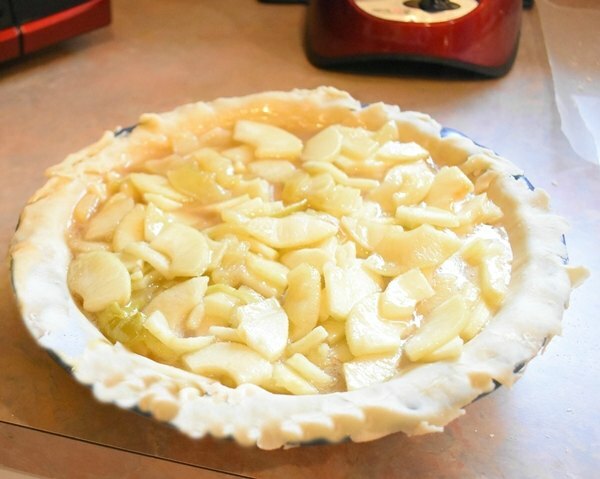 Combine sliced apples, apple pie spice, honey, butter, vanilla extract, orange juice, lemon juice, and sugar in large pan. Bring to a boil, stirring often. Remove dough from freezer and cut the ball in half. Use wax paper sprinkled with flour to roll out the bottom crust. Spray pie dish with non stick cooking spray (unless you’re using a pie dish that advises against using spray) and pour the apple mixture into the crust. Roll out the other half of the dough and carefully place it on top of the apple mixture. Use a fork to press the edges down and cut slits into the top of the crust. Trim away any excess crust from the side. Bake for 45 minutes at 350 degrees. 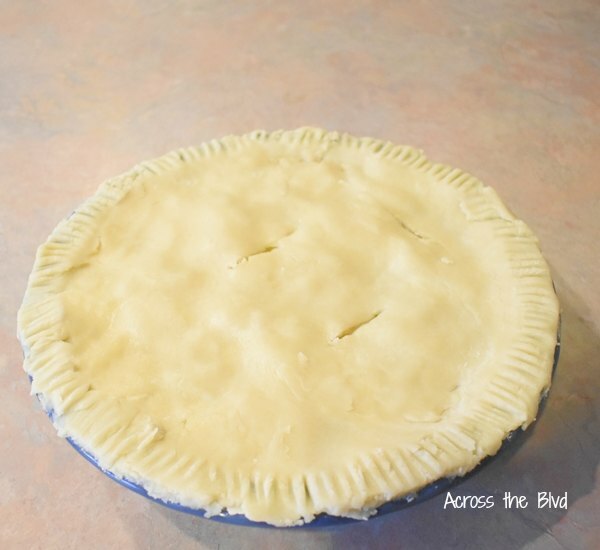 Allow the pie to cool completely before slicing. If you want the pie to be warm when serving, microwave individual slices for 15 to 25 seconds. I might have had a slice of it for breakfast the day after it was made! Fruit is a breakfast food, right? The recipe that my brother uses is an adaptation of one he found years ago. It’s from the old cookbook called Aunt Bee’s Mayberry Cookbook. The changes he makes to the recipe give a sharper, tarter taste. I like that it’s not overly sweet. A delicious, classic fall dessert with a touch of tartness and a perfectly flaky crust. Combine flour, cream cheese, and butter in large mixing bowl. Mix by hand or with electric mixer until a firm dough forms. 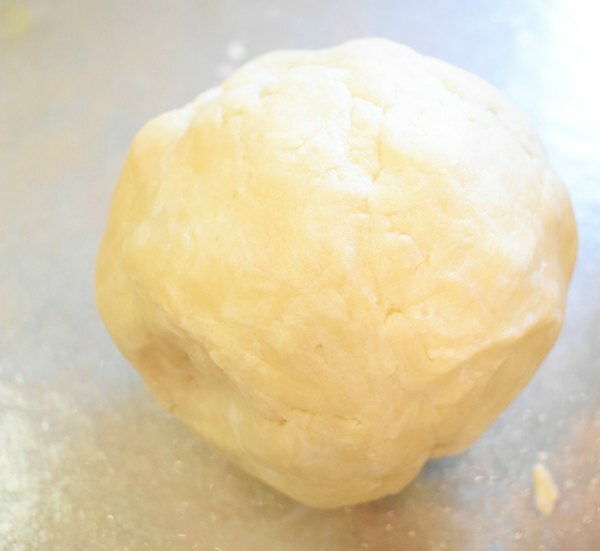 Roll dough into a large ball, cover with plastic wrap, and place in freezer for 10 minutes. Once chilled, remove from freezer, discard wrap and slice the ball into two pieces. Sprinkle wax paper with flour and roll each piece of the dough separately to form a top and bottom crust. Spray pie pan with non stick spray and place one of the crusts into the pan. Peel and Core apples and slice into small pieces. 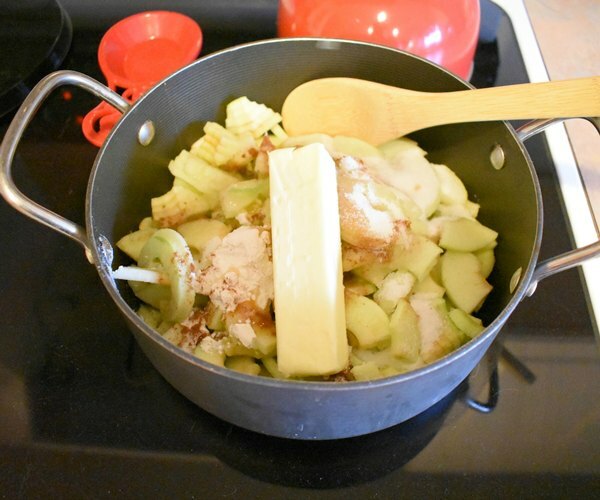 Combine apple slices, sugar, honey, butter, vanilla extract, apple pie spice, and juices in a large pan. Top with second crust. Use a fork to pinch the crust down along the edges. Trim away any excess crust. Cut slits to vent. Bake for 45 minutes. Allow to cool completely before slicing. I was happy when my brother agreed to bake this for me so that I could share it with you all. That sure does sound delicious! I’m so intrigued with the idea of pie crust made using cream cheese; yum! Pinned. Thanks, Joanne. The crust is wonderful. Thanks for pinning. Saving, printing, pinning. My goal this year is to make a homemade crust. Thanks, Laura. I’m not much of a homemade pie crust maker either, so I was happy when my brother agreed to make his apple pie for me to share. Thanks for pinning! That would be a long way from home. CofC is a great college. Gloria graduated from there several years ago and is back now in grad school. 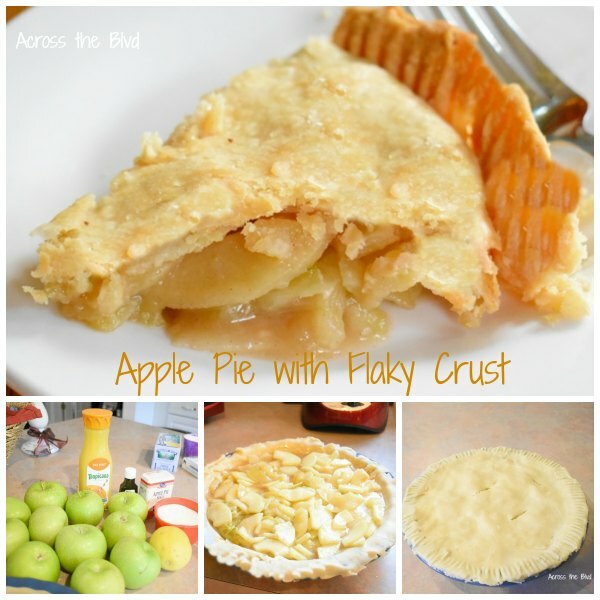 Apple pie is my favorite dessert and your flaky crust is just wonderful! Pinned and shared. Thanks for sharing, Carol. I really like this crust. So do I, Kristin. There are so many variations of classic recipes that are shared during the fall. The orange juice and the lemon juice give the pie a great flavor. Thanks for pinning. woah that looks delicious! I’ve never heard of a pastry made with cream cheese but it looks really good, I’ll have to give it a try! Thanks, Julie! I hadn’t heard of using cream cheese either for a crust, but it does make it really flaky. Cream cheese and butter in the CRUST, wow! That’s sounds so good! Those are a great combination. I loved the flavor. Thanks, Lorin! He is! The cream cheese gives a really nice texture to the crust. Thanks for pinning! 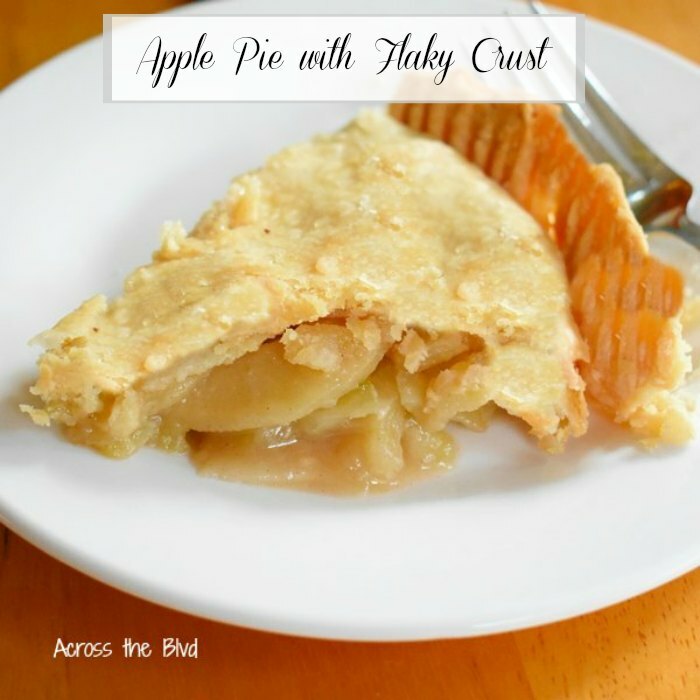 I’ve never had a crust made with cream cheese – looks delicious! and I need one of those apple corers, looks like it makes quick work of those apples! Pinning! Thanks, it is! The corer is definitely a time saver. Thanks for pinning. 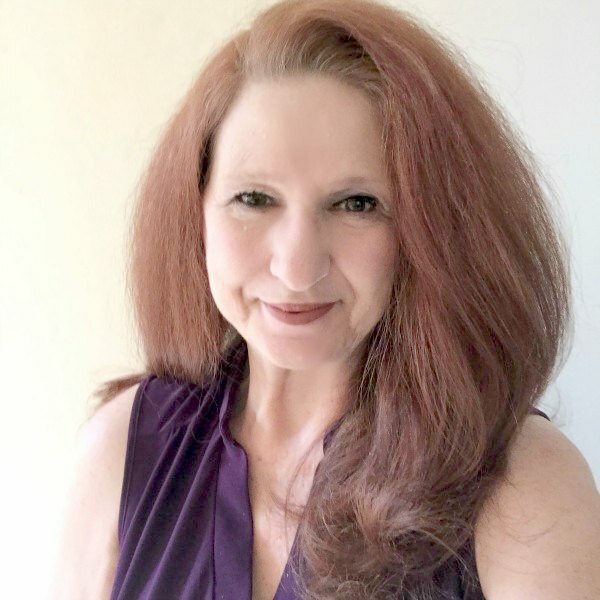 Beverly, I can see why you were waiting to share this recipe! Looks amazing! My 2nd daughter is the pie maker in our family and I can’t wait to share this recipe with her (hoping she will make it for us! loL My family loves homemade apple pie! Pinning! It’s so good! I was happy that he made it for me to share. I hope your family loves it. Thanks for pinning. 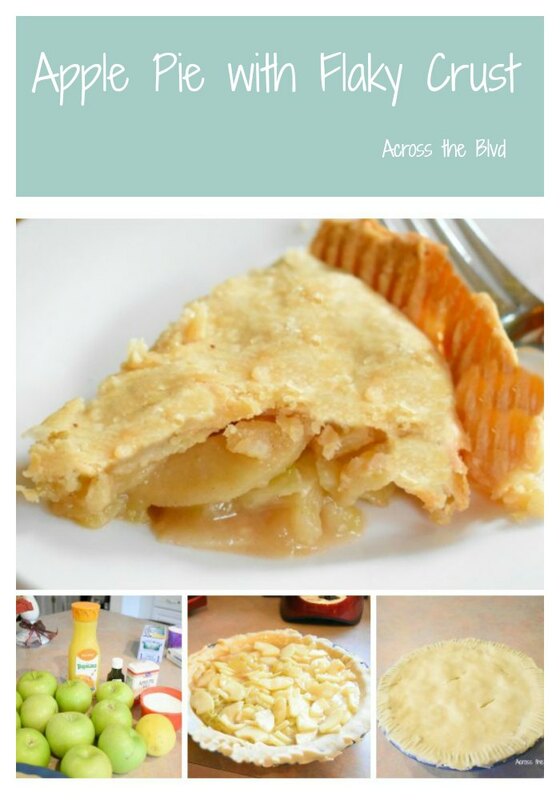 Apple pie is one of my favorites. This looks amazing! 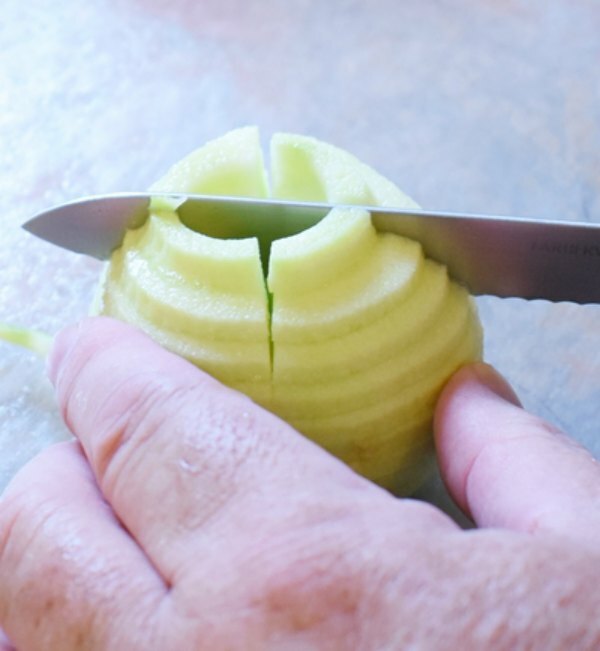 My parents have an apple corer peeler and they love it because it makes it so much easier. Mine, too. Thanks, Jenny. The corer does make it lots easier. Thanks, Dee! I appreciate the Pin.